Note: Requires the fully licensed version of Kontakt 5.8 or higher. Does not work with the Kontakt Player. 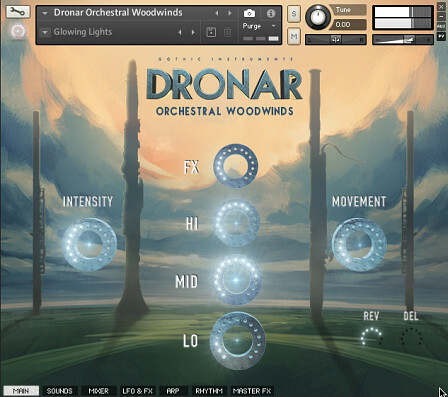 Powered by the award-winning DRONAR Engine for Kontakt, Orchestral Woodwinds can create complex, mind-expanding atmospheres triggered by just a few keys (one to four recommended). 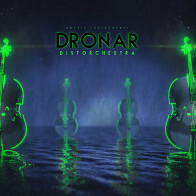 The DRONAR Engine automatically spreads out the chord in the mid-range, adds a root bass note, a high note and then adds evolving sound effects. Eight simultaneous different sounds are then animated with LFOs, a rhythm sequencer and arpeggiators to bring them to life. The results are rich and dramatic. This sonic complexity from one hand frees up the other to expressively control dials with mouse drags or external MIDI controller knobs, and record the changes as a performance in your DAW. Subtle dial movements give deep expression, ideal for soundtracks as well as highly expressive pads, patterns and atmospheres in any genre. 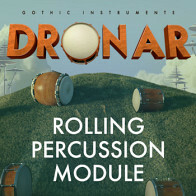 Because Gothic Instruments DRONAR Orchestral Woodwinds instantly adds low, mid-range and high sounds plus sound effects, you barely need other non-Dronar sounds to create a complete piece of atmospheric, expressive music quickly. 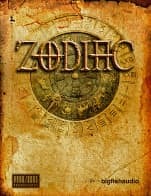 Needing only to play a few notes and move a few dials to get such rich expression is inviting for beginners, but an expert will get further by knowing what notes to play and how to express emotions using the dials. Beyond the shimmering immediacy of the ‘Main Page’ awaits a whole other world of expert control, turning Gothic Instruments DRONAR Orchestral Woodwinds into a large modular multi-timbral synth/sampler with multiple independent arpeggiators.